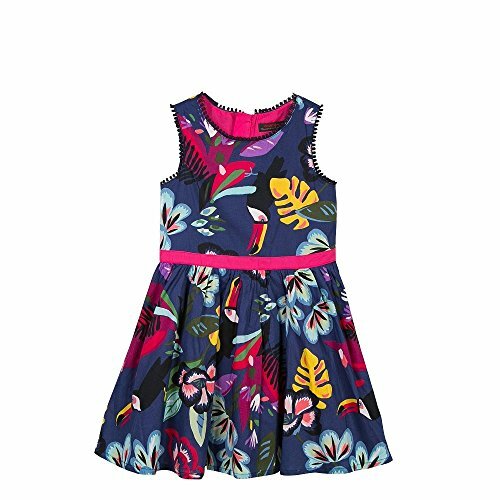 Sleeveless dress in inky-blue voile with vibrant tropical print for a chic and bohemian summer girls' look. The shimmering colors of an exotic world add a cheerful touch to this stylish dress. The raspberry ribbon at the waist and elegant braid detail around the crew neck and arms add chic touches. The visible metal zip on back and voile lining at bottom hem are practical and easy to wear touches.